A BDR community member has shared these links from traffic cams in Utah that let you see snow levels along the route. Thanks to David Hague for the information. Higher peaks may be capped, little concern for snow. Concerns for snow on La Sal peak, no cameras to view. Lower elevations, no concern for snow. Camera 1 (9000') and Camera 2 (8500') about a mile apart near intersection of Reservation Ridge Rd./HWY 191 waypoint. Camera at 6500' near UT/WY border along Hwy 16. Camera at 8300' on Hwy 150 (winter closure-open May) five miles away from intersection of Whitney Road/FR032 and HWY 150. 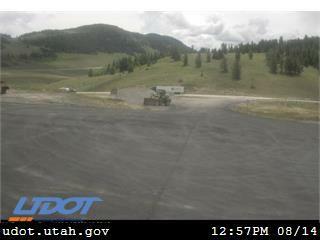 Camera at 10,700' pass on HWY150 called Bald Mountain pass. Camera at 7200' about 3 miles from a waypoint at Hwy 35/FR037. Camera near Section 4/Section 5 waypoint. Camera at 7800'. End of dirt, almost done. Camera at the end of the the trip, welcome to Utah!